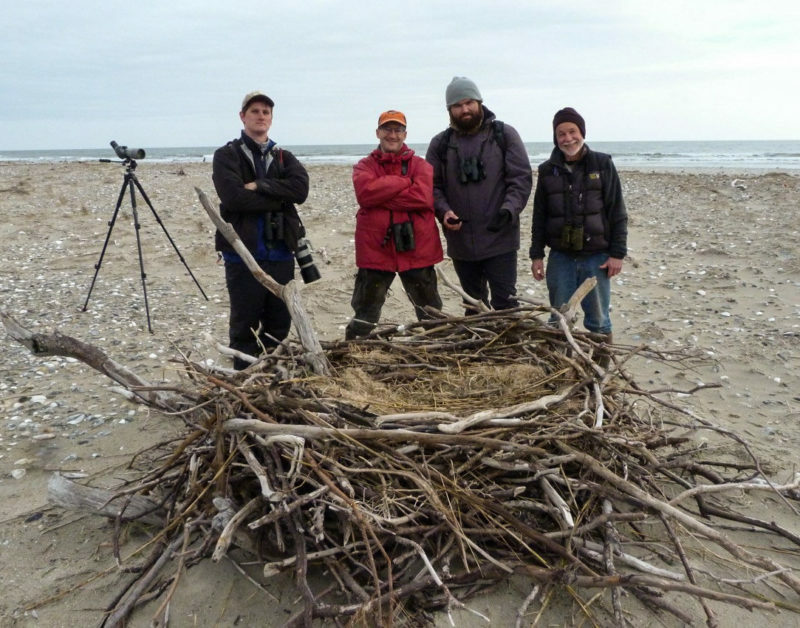 New technologies are continuing to unravel many of the enduring mysteries of bird migration. 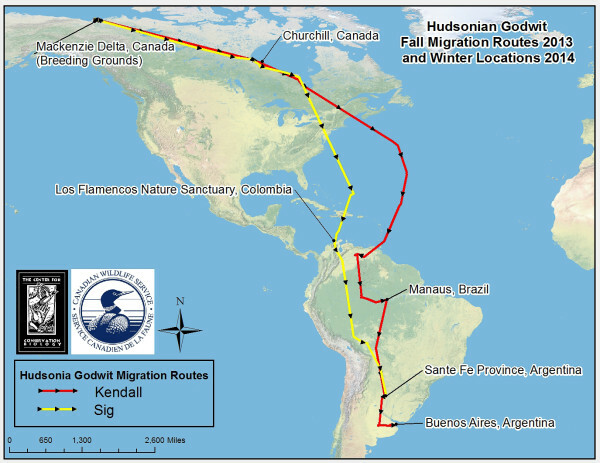 One of the persistent unknowns in the world of shorebird migration has been the pathways used by Hudsonian godwits in their fall migration as they move between the Arctic and South America. 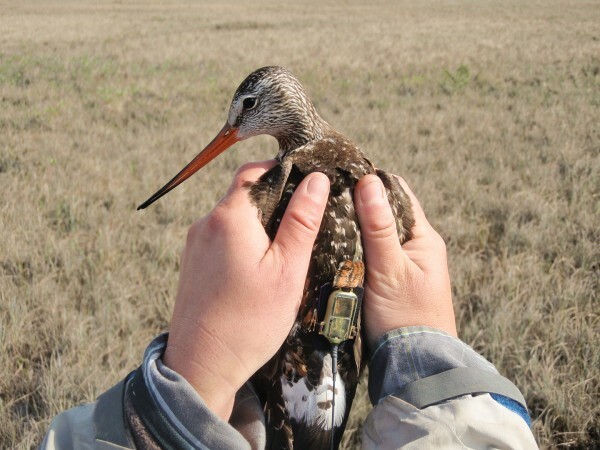 In a collaborative project with the Canadian Wildlife Service, the Center for Conservation Biology deployed three 5-gram satellite transmitters on adult godwits nesting within the Mackenzie River population during the summer of 2013. 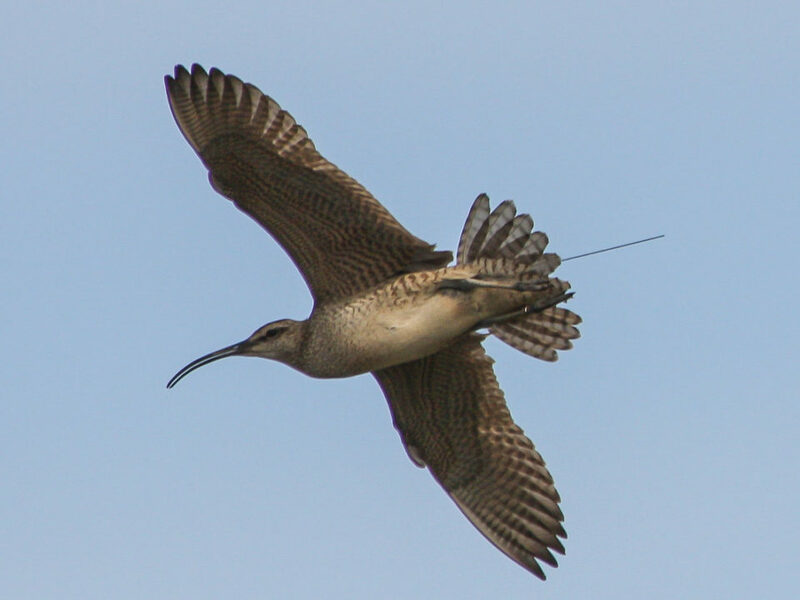 All three birds were trapped on their breeding territories and fitted with transmitters. 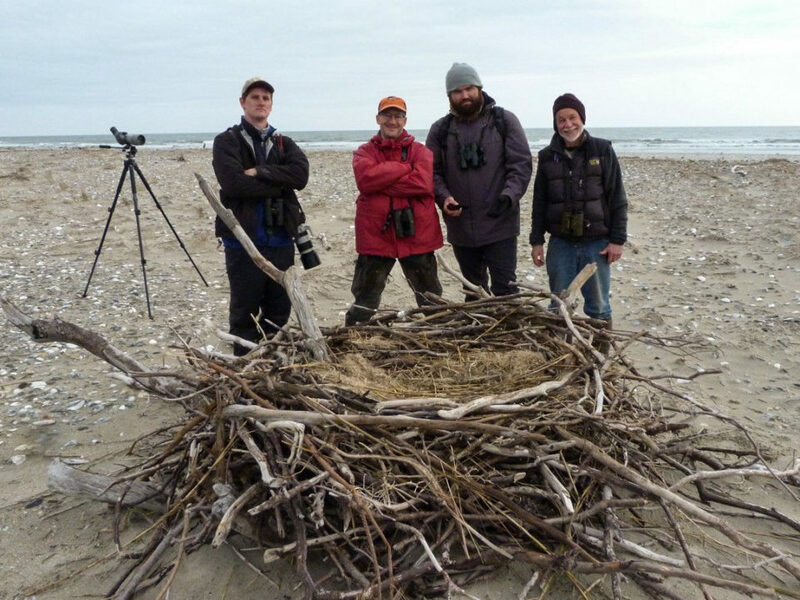 Over the past six months, two of the three birds have been tracked to their winter grounds and contact with the third bird was lost while it staged in Churchill Manitoba. Hudsonian godwit with 5-gram satellite transmitter attached with leg-loop harness. Photo by CCB. The two godwits named Kendall (after a local bird sanctuary on Mackenzie Delta) and Sig (short for Sigguraujaqquqtujuaq, the Inuktitut name for the species) have made dramatic migration flights punctuated by equally dramatic staging periods. Kendall, an adult male, left the breeding grounds on 12 July and flew 1,529 miles to Churchill in just over 2 days, staged for 2 weeks before moving down to Hudson Bay to stage for an additional 4 weeks. Sig, an adult female, left the breeding grounds on 10 July and flew to Churchill in just over 70 hours and staged for an incredible 3 months along Hudson and James Bays. Kendall left Hudson Bay and made a dramatic 3,900-mile, nonstop, 5-day flight to the Orinoco River Basin in Venezuela where he staged for 3 weeks in wetlands and agricultural fields. He then moved to the Amazon Basin to stage for an additional month, leaving Manaus, Brazil and flying to Santa Fe province Argentina. Kendall moved on to Buenos Aires and out to Samborombon Bay. 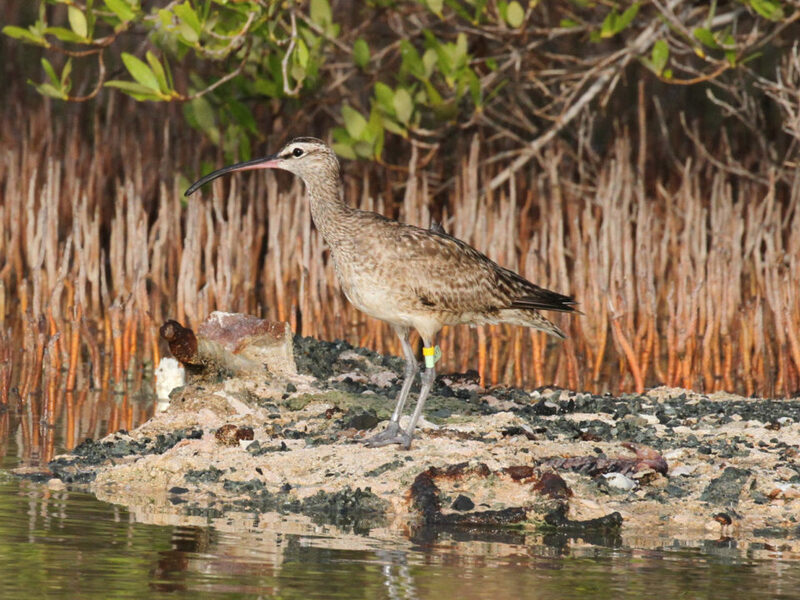 Sig followed a similar pattern flying 3,124 miles in 4.5 days from James Bay to coastal Colombia where she staged for more than 3 weeks in Los Flamencos Nature Sanctuary along the Caribbean Coast of Colombia. From here she flew to Bolivia, staging for 23 days before flying to Santa Fe Province in Argentina. Both of these birds have spent considerable time within agricultural landscapes containing high densities of ponds. 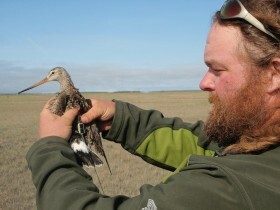 Fletcher Smith holding Hudsonian godwit on arctic breeding grounds within the Mackenzie Delta. Photo by CCB. 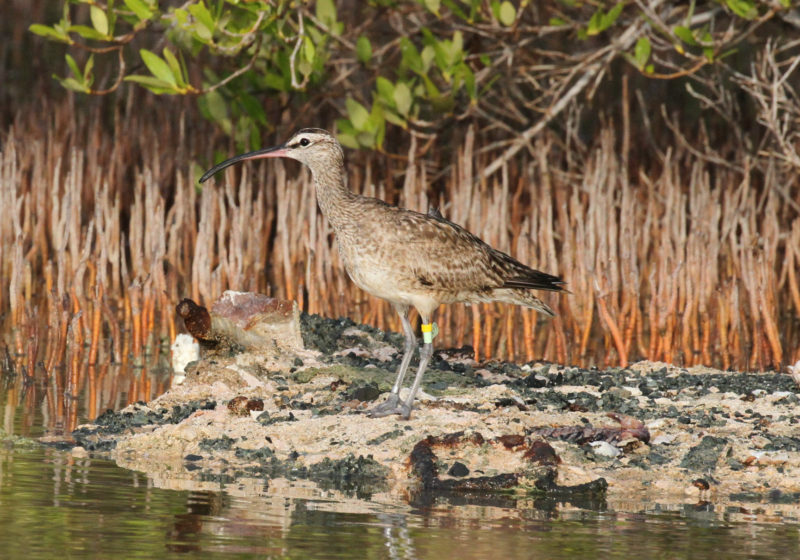 Kendall and Sig have provided insight into why the question of where Hudsonian godwits stage in North America has persisted. They go long. They don’t typically use staging locations during the fall within North America. They fly direct from Hudson and James Bays to South America. Interestingly, where they do stop the godwits stage for very long periods of time to refuel. 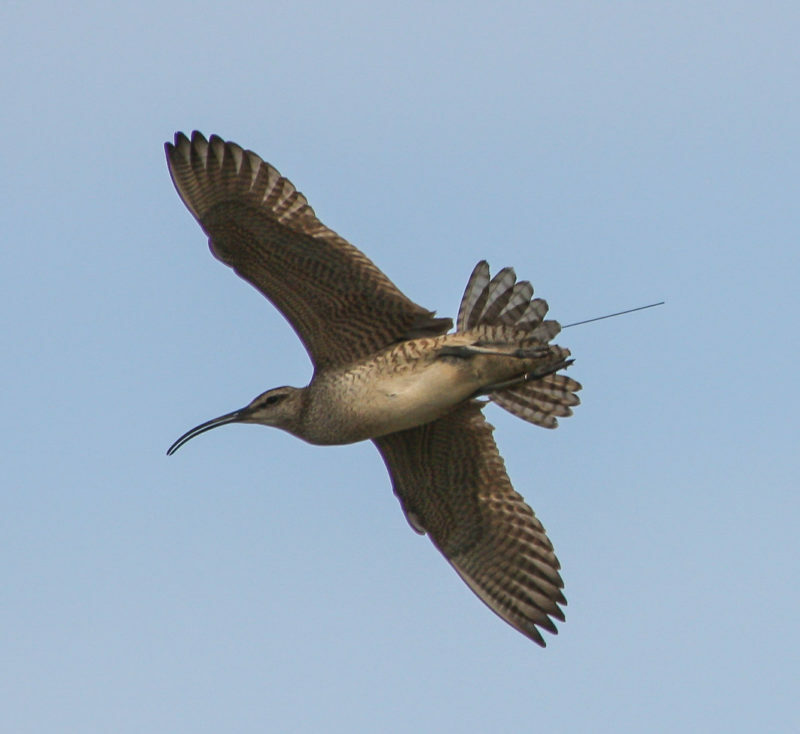 Periods that are more than twice that observed in the whimbrel, another large shorebird that the project has been following to better understand migration ecology. How energy budgets relate to food sources, conditions within staging areas, length of upcoming migration legs, and seasonality are fascinating questions that remain for many species. Answers will assist in the development of a more holistic blueprint for future conservation efforts.